I had this crazy idea. Really more of a dream. 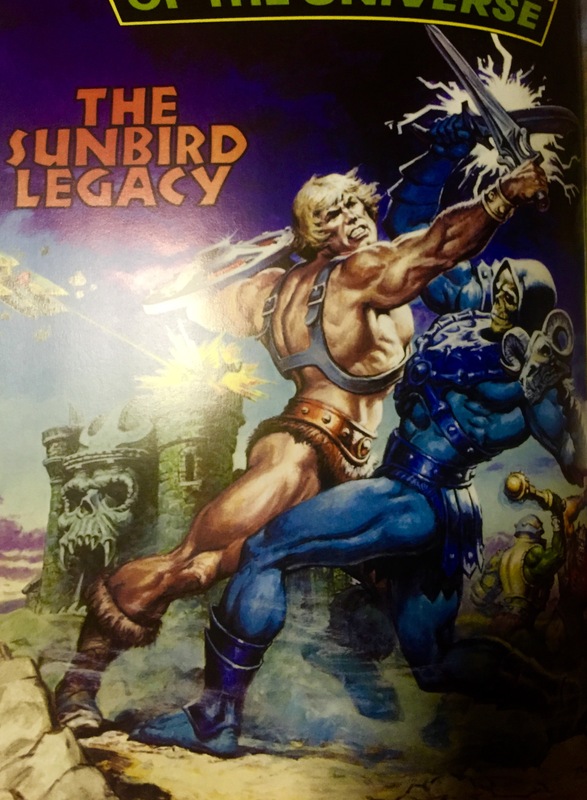 I could get each person who is interviewed in the Masters of the Universe Art Book to sign their article. Or maybe a piece of art. I know it never would happen…I am not a well traveled person. But it was a fine thought. A few Caveats have to apply. The figures have one expression. Some have alternate heads. But you still have a limitation. The hair can be wrong. Norem didn’t always paint the weapons the same way. 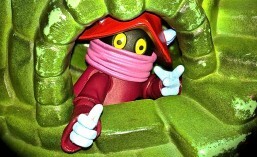 I don’t have the diorama piece. As this stuff becomes more available to me, I will see about photographing some of it. I chose this picture because I thought it was one of the most do-able. My favorite is the one with He-Man on a lion and Skeletor leading an elephant army, with the space battle among the meteors a close second. But you’ll see. I tried the Snake Armor He-Man head. But it doesn’t look as good as the original. 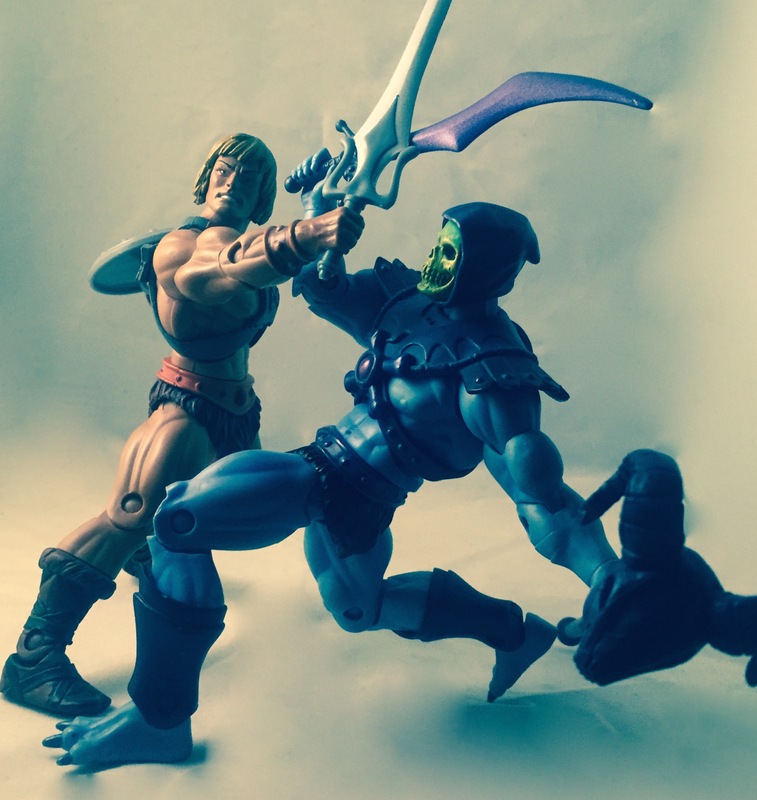 In the picture, Skeletor’s sword is more of a scimitar. The closest I had available is Draego Man’s sword. The Havoc Staff is bigger than the one in the painting. This proves to be the biggest problem. I felt like the pose above was too…boring. Not capturing the motion of Norem’s work. The colors are pretty good. The white background is about as good as I could do. I applied a filter to mute it a little. So, Hub City Geeks. What do you think about my new venture? Can you do better? Send me your pics, and let me know in the comments! 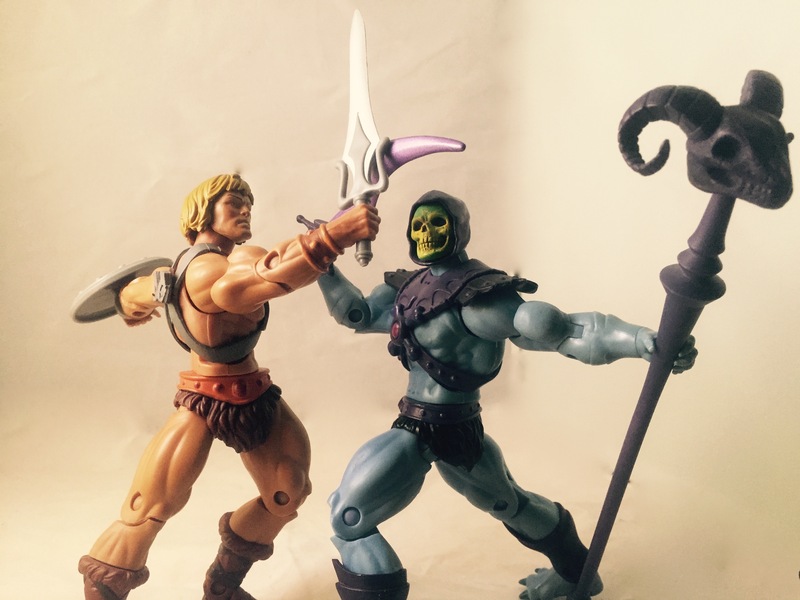 This entry was posted in Earl Norem, He-Man, Masters of the Universe Classics, Skeletor, SpartanNerd and tagged art book, Earl Norem, He-Man, He-Man and the Masters of the Universe, Masters of the Universe Classics, Skeletor, SpartanNerd. Bookmark the permalink.